I've found a couple sites that host UT99 maps, but it's pretty time consuming to go through all of them, I downloaded a bunch of them and only found maybe two that seemed like what I'm looking for. I figure there are folks here who probably can recommend some good ones already, so I thought I would ask for some suggestions. I will state upfront that I'm looking for maps that meet the same standards as the official maps; not just in terms of quality, but also for how the map functions. A bunch of the maps I was looking at did things like include (or were built for) special mods and/or weapon replacements, or they had special themes that brought with them practically a gig of new textures and models that made them look more like something from a different game. Many of FraGnBraGs maps are huge and awesome, definetly recommend his work (they have FNB in their name). 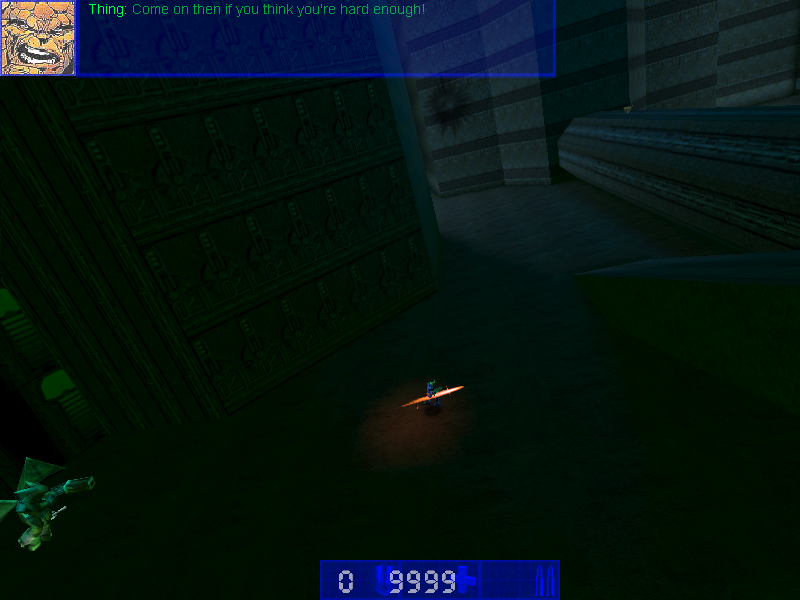 Finally, in https://unrealarchive.org/maps/unreal-t ... index.html you can see the recommended player count, and when you click the map it shows a pic of the map (if it has one) and the files it contains. UnrealGGecko's suggestions above will help you a lot. DM-FNB-SpacePort is an example of FraGnBraGs map for many players/bots. I also use some other maps (mostly open space ones) to test something. Yes you can add up to 32 bots and I yet played the maps above with 32 bots. More than 32 should be impossible. You really forgot about one of our greatest maps ever?! I have no excuse, yes I did forget it. DM-Tigerhunt][ is a pretty good large map if you're into rural maps. There's also a couple of Star Wars maps that are fairly large. Skerion wrote: DM-Tigerhunt][ is a pretty good large map if you're into rural maps. This map is trying so hard to be PUB-G that it's adorable. It's not balanced right at all for the kind of map I'm looking for, but I'm keeping it anyway; this is just too cute. Someone needs to make a legitimate Battle Royale gametype for that map. Last Man Standing isn't going to cut it. Marscaleb wrote: ...Someone needs to make a legitimate Battle Royale gametype for that map. Last Man Standing isn't going to cut it. You haven't seen this thread BRUT?